Oliver is a Partner and leads our Social Housing Development Team, specialising in development work for Registered Providers. His expertise includes advising on all property aspects of development projects including site acquisition, joint venture and collaboration agreements, conditional purchase agreements and development agreements. 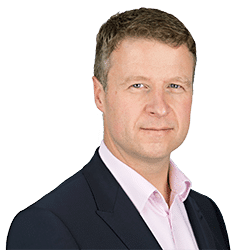 Oliver joined Clarke Willmott LLP in 2007 from Burges Salmon and has presented at a number of lectures and conferences on topics such as joint ventures, development pitfalls and property insurance to bodies such as the National Housing Federation and the Chartered Institute of Housing. Advising The Guinness Partnership on an 80 unit mixed tenure development with open market and affordable units and commercial ground floor space, conditional on planning and bought from an insolvent company. As the sale was by liquidators the due diligence information available was extremely limited and heavy reliance was placed on the legal development report which required liaising closely with the wider professional team and co-ordinating information back to the client. Advising The Aster Group on a joint venture agreement with a national developer buying a 50% stake in a development worth in excess of £70,000,000. The joint venture vehicle in turn was part of a wider consortium that was developing out the site and delivering the site infrastructure. The deal involved close liaison with corporate colleagues in terms of drafting the shareholder agreement and fairly apportioning the risks and responsibilities between the joint venture partners. The liabilities of the development entity used by the client were ring fenced in the corporate structure and co-ordinated with tax and accountancy advice to ensure lending obligations were met within the group. Advising a London RP (confidential) on the sale of an existing affordable housing site to a developer for circa £8 million on a conditional on planning basis. The deal was particularly complicated by the introduction of five separate heads of overage designed to protect the client’s commercial interests in the event the consented development exceeded initial expectations. The overage eventually paid out circa £400,000 in addition to the agreed purchase price, paid under two heads of the overage agreement. Advising GreenSquare on the acquisition of a site for a development of 74 units including affordable and open market houses. Existing overage and new overage requirements were drafted to allow further payment to the promoter in case of the consented site receiving planning consent that exceeded expectations.